Why HERE HD Live Map? Self-driving cars need more than a vision of the road network, they need to understand it. To make safe driving decisions, they require high definition maps that update in near real-time. The data that informs the maps needs to be relevant and extremely detailed, down to the nearest centimeter. For a map to update fast enough to guide autonomous cars, it needs input from as many sources as possible, as quickly as possible. That’s why the HERE HD Live Map combines sensor data from a variety of sources and multiple car manufacturers across the globe. The more manufacturers share sensor data with HERE, the more reliable the map guiding your cars will be. Intelligent cars with sensors - such as cameras and radar - capture data as they drive and transmit it back to the cloud. This crowdsourced data includes anything from lane closures and barriers, to road signs and pavement markings. Cars come in different shapes, have sensors in different places, and travel on different parts of the road, so they perceive objects in unique ways. HERE uses machine learning technology to fuse these nuanced observations into accurate features. HERE uses sophisticated algorithms and unique features to analyze and verify map data. 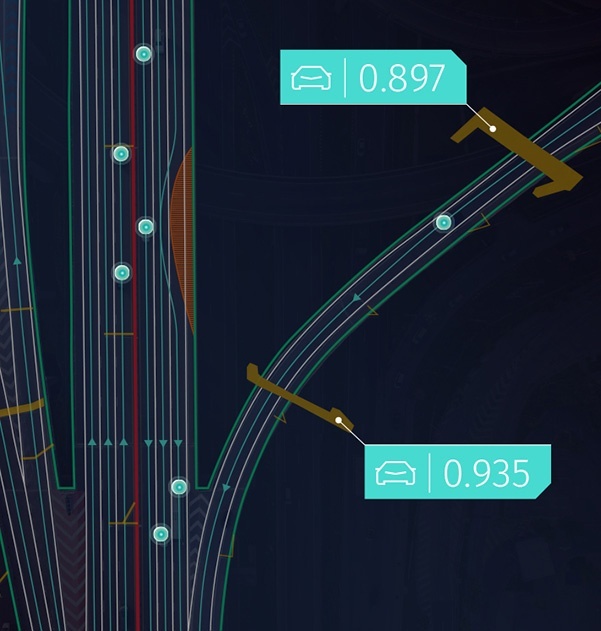 The HERE Quality Index calculates a confidence score based on various data sources that keeps OEMs informed about the quality of HERE HD Live Map data. Once a new feature is added to HERE HD Live Map, it’s published to all relevant vehicles in near real-time. This gives autonomous vehicles the reliable data they need to make safer and more efﬁcient driving decisions. When autonomous cars have better situational awareness, they can make safer driving decisions. The HERE Quality Index creates a confidence score which represents the predicted accuracy of every feature on the map. With this granular information, vehicles are better equipped to assess their environment and make proactive decisions. HERE HD Live Map doesn’t just inform your vehicles about what lies ahead, but also how reliable the data is. When multiple automakers share sensor data, it improves map freshness for better decision making. It also enables new services, which are delivered back to connected cars. This creates the opportunity for OEMs to offer smarter features and customized driving experiences. To achieve the scale, consistency and speed required to provide insightful data to vehicles globally, car manufacturers must work together. The OneMap Alliance is creating a global standard for safer and more efficient self-driving vehicles. Offering OEMs a consistent HD map that crosses regions and giving drivers a reliable experience, no matter where they are. Innovative features, such as Advanced Driver Assistance Systems (ADAS) and Safety Services, already integrate shared sensor data. 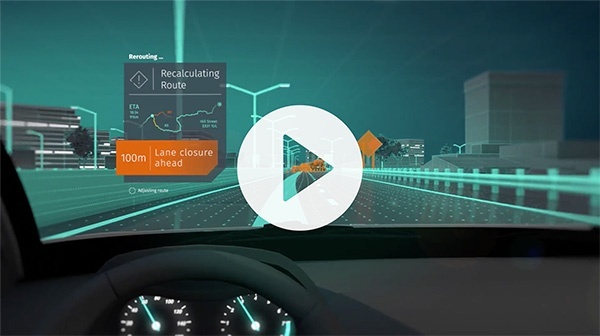 BMW and Daimler are just two manufacturers using the advanced features of the self-healing map to improve highly automated driving. HERE guides the connected vehicles of today, and the autonomous vehicles of tomorrow, with a map made for cars, by cars.